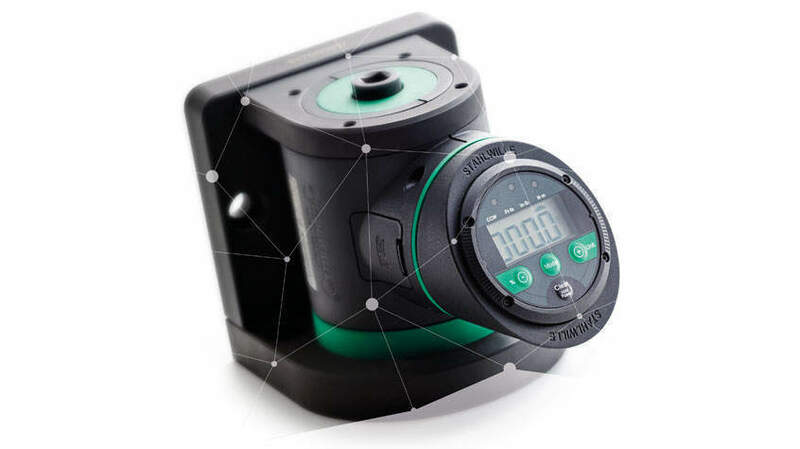 Precision measurement technology in a compact, robust housing – now also interconnected. The SmartCheck DAPTIQ torque tester has an interface and uses RFID technology to recognise other tools when they are in range. This releases the user from superfluous processing steps, guarantees faster inspection and ensures the readings are always correctly assigned to the tool being inspected. Since it is connected to the CAQ system, that system has access to all the data for automated process control and logging – in realtime, of course. SmartCheck DAPTIQ can easily be adjusted to suit the user’s angle of sight. Not only the display but also the display mount and base body can be rotated through 180°. The SmartCheck DAPTIQ tester not only measures extremely accurately, it also transmits the readings to the CAQ system when it receives a corresponding request. The unit can be used anywhere and can be mounted on the wall. Exact. The indicated deviation of a mere ± 1% guarantees reliable measurement results. Robust. The integrated visual and audible overload protection ensures the durability customers expect of STAHLWILLE. Ready for work. Thanks to the integrated transducer with a broad measuring range, work can start immediately. Individual. Three operating modes (track, first peak, peak hold) and three measuring units (N·m, ft·lb, in·lb) can be selected. The target torque and tolerances can be individually set to evaluate the readings. Flexible. Available for four torque ranges: 1–10 N·m, 10–100 N·m, 40–400 N·m, 80–800 N·m.